Library life has changed. There are now two types of library: run-down local ones, staffed by well-meaning volunteers and open a couple of hours a day; and big, high-tech central ones, where computer space and coffee shop seems more important than books on shelves, where exhibitions and events and workshops attempt to lure ‘new customers’ who presumably aren’t just tempted by the prospect of ‘borrowing’ books for free. Twenty-first library life is remarkably similar to the beginning of Dickens’ seminal ‘A Tale of Two Cities’. Austerity is the name of the game. A game of two halves: the ‘haves’ and the ‘have nots’. Little libraries are closing in poor areas, being taken over by the ‘great and the good’ volunteers in well-off places, and being ‘enhanced’ in central mega-libraries where local councils seek to nestle all their literary eggs in one big, fancy glass-fronted basket – ‘learning zones’. In this time of austerity, economics has been crowned a new cultural king – a vestige perhaps more akin to ‘The Emperor’s New Clothes’. 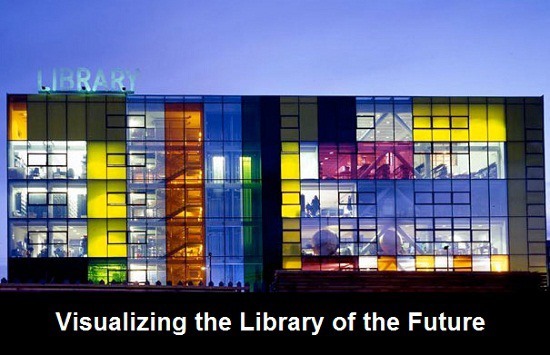 Libraries have a new mission: to maximise profit and efficiency and diversify sources of income. They are apparently privileged because, as Stanziola claims, ‘statutory funding allows local authority libraries to work outside the market’. But what if public libraries and indeed public services in general were not and should not be perceived as being part of ‘the market’? What if this drive for libraries to declare their value and, in so doing become part of ‘the market’, is a drive towards a homogeneous service that attempts to define itself in terms of ‘maximising provision’ and ‘distribution’? Perhaps then libraries are not really about lending books anymore? These are challenging times for libraries, arts, culture, and indeed every aspect of our lives. We are still struggling to escape the gloom of a deep economic recession. To do so we are told we must make drastic financial savings wherever necessary. Only then might we usher in a shiny new economic future. Doctor Eleonora Belfiore is right to point out that we face ‘awkward questions’. The DCMS and Arts Council England are apparently looking for ‘sensible answers’. Where? In reports by economists. But don’t worry, says Stanziola, we’d be wrong to think ‘cultural policy making has been hijacked by economists’. Really? ‘Cultural policy’ in the UK was created by Keynes – an economist – and Arts Council England was created to deliver this policy. Indeed, it may be fair to suggest that every aspect of our lives has been ‘hijacked by economists’. So it is that we pray before the same alter of economics that created our current ‘season of Darkness’ in the hope that economics will breathe forth a new ‘season of Light’.